Every other month, when our bulletin is published, I try to supply you with new information, which is, as we all know, abundant. This time, I shall deal with three items that concern all of us. First, I would like to introduce our new bulletin editor, Mark Baars, who has succeeded Tim Harries; he will take care of this part of our FECO information in the future. We also thank Tim very much for his punctual and excellent work over all these years. I have also asked every FECO-president to send me a list of their members so as to get a better survey. Thank you for your cooperation. Third, after two years in office, I am not going to demand something from you again but simply to thank you. To thank all friends, who cooperate within and around FECO, my colleagues I know and those whom I do not know yet, and the cartoon organizations and supporters, who pour information and offers over us. Not only does our FECO family keep growing and becoming more important – there is also a good deal of soul in it. Wherever we meet we feel that we all belong to that strange clan which is able to laugh at themselves uninhibited. Our next great appointment is the St. Just-le-Martel festival – when you are invited remember to submit cartoons! I send you a bad news. 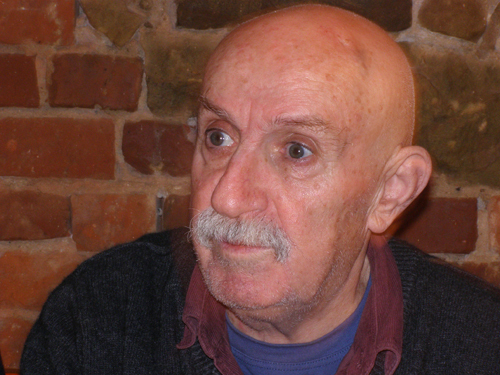 On 28 November has dead the most famous Bulgarian animator and cartoonist and member of FECO-Bulgaria Donio Donev. He was born in 1929 in town of Berkovitsa. His first animation film was in 1957 produced. Till present days he was created over 100 films. Hi is creator on the most known Bulgarian animation serie “Three fools”. He was professor in Bulgarian film academy and he has readied lecture in different Academies in Europe and USA. He has won many prizes. From 50 years ago he was cartoonist in many Bulgarian newspapers and magazines like “Stirshel”, “Pogled”, “Vecherny novini”, “Trud”, “Trimata glupatsi”, “Monitor”, ”Telegraph” and so on. I send this message and his picture with request to put it in FECO bulletin and FECO web page, please! Thank you! Best wishes for 2008 !! !